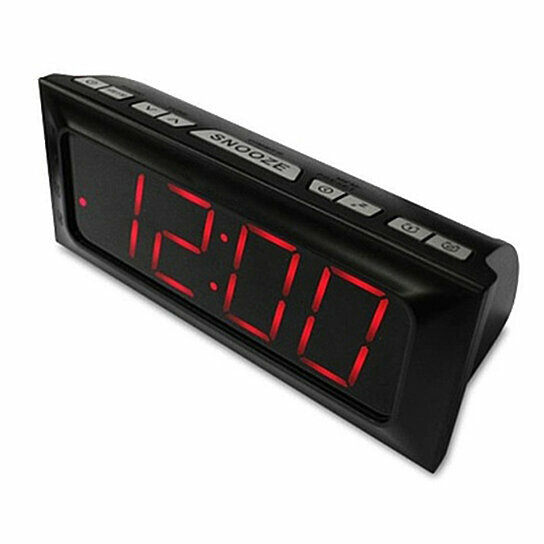 Ensure you never miss your wake-up call with this digital dual alarm clock radio. Set it to your favorite radio station and wake up to music. The large, LED display looks great against the sharp, black design. A snooze/dimmer button grants you a few extra moments of sleep while two alarms assure you wake back up on time! Runs on batteries or via AC wall power.